Bijutoha, No, it is the key-name of Md. Bakhtiar Uddin (Biju). 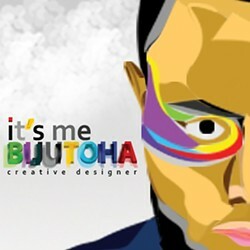 Creative Designer on Calligraphy, Typography, Logo Design, Web Design, and so on. Senior Executive at Clipping Path India an offshore graphic design firm provides Photo Editing Services like clipping path , image masking, ghost mannequin etc.